In October, AW featured the article “Returning Evidence to the Scene of the Crime: Why the Anfal Files Should be Repatriated to Iraqi Kurdistan” by Bruce Montgomery and published in Archivaria. I had previously remarked that the article was not yet made available for free on the Archivaria site. Last week, Mr. Montgomery kindly provided AW with the link to his article. The link is now available below. Two years ago as I was writing a research paper, I happened upon an article (see below for citation) by Bruce P. Montgomery. Montgomery has written widely on the topic of archival sources and human rights. In his 2001 article, he traced the ﻿﻿﻿provenance, legal use, and politics in general surrounding the Iraqi Secret Police Files, especially with respect to the custody, control and ownership of the records according to the interests of the various parties involved. These files were captured by Kurdish rebel forces during the chaos which ensued in 1991 throughout Iraq and neighbouring Kurdistan. 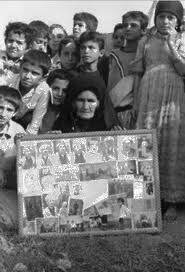 The files were a coup for the Kurds who discovered evidence of the Anfal genocide of the 1980s within the records and documents. In the current issue of Archivaria, Montgomery ﻿﻿ revisits the subject in “﻿Returning Evidence to the Scene of the Crime: Why the Anfal Files Should be Repatriated to Iraqi Kurdistan” (see below for citation). Archivaria has not yet made this article available to the public for free, but as the editors tell readers, Montgomery recalls the custodial history of the records through their seizure, relocation and repatriation. In his first article, Montgomery discusses the possibility of establishing an international war crimes tribunal to prosecute Iraqi leaders, not unlike those for Rwanda (ICTR) and Yugoslavia (ICTY). 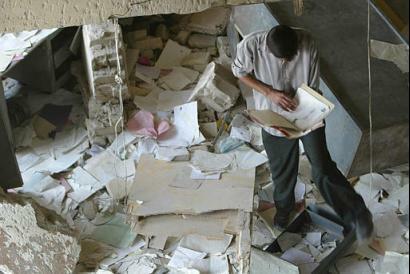 In this current article he continues to outline the role of international law, specifically those relevant treatises that address the capture of cultural heritage in times of war, and the role of the international archival community (as represented by the International Council of Archives, and other professional associations). Most importantly, Montgomery uses the Iraqi/Anfal case to outline the conflicts in appropriately documenting human rights.